The new edition of Population and Development offers an up-to-date perspective on one of the critical issues at the heart of the problems of development for all countries, and especially those that seek to implement major economic and social change: the reflexive relationships between a country’s population and its development. How does population size, distribution, age structure and skill base affect development patterns and prospects? How has global development been affected by regional population change? Retaining the structure of the well-received first edition, the book has been substantially revised and updated. 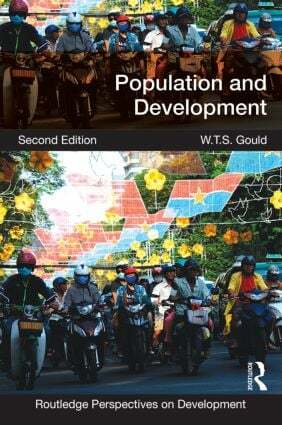 The opening chapters of the book establish the theoretical and historical basis for examining the basic reflexive relationship, with exploration of the Malthusian perspective and its critics to examine how population change affects development, and exploration of the Demographic Transition Model and its critics to examine how, why and to what extent development drives population change. These are followed by empirically rich chapters on each of the main components of population change – mortality, fertility, internal and international migration, age structures and skill base – each elaborating key ideas with detailed and contrasting case studies from all regions of the developing world. There are concluding and more integrative discussions on population policies and global population futures. Bringing together Population Studies, Development Studies and Geography, the new edition of Population and Development is a key resource for undergraduate and postgraduate students across a range of programmes with specialist modules on population change. There is a large bibliography, with major new sections identifying a wide range of online resources for further study. Each chapter contains a reading guide with discussion questions. The text is enlivened by a number of case studies from around the world, most of which are new or have been substantially revised. Written by a leading international scholar in population, the book successfully integrates cutting-edge academic research with the focus and efforts of international development agencies.